We met on a cold autumn morning in City Park in front of Morning Call before the sun had risen; the birds were just waking up and you could hear the cacophony of chirps and squawks grow as the light slowly crept through the trees. Mariana and Tyler were so alert, excited and giddy…I couldn’t help but give into that joyful energy. 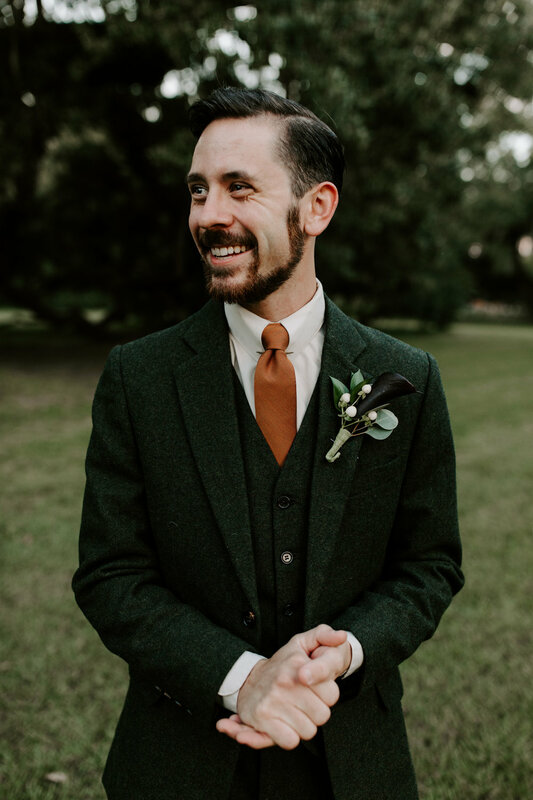 Besides their awesome, contagious energy, I was also immediately taken with their vintage, Art Deco style. 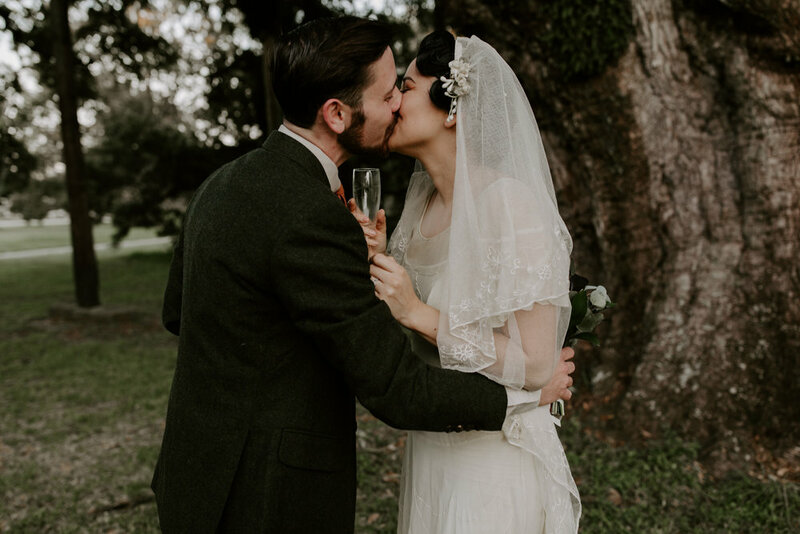 It was like they had stepped out of the 1930’s with Mariana’s vintage wedding dress and veil from the 1910’s and Tyler’s green tweed suit. Needless to day, I was inspired to create some truly timeless images to match. Mariana was a Disney princess come to life and Tyler was the dashing prince(fitting as they both work at Disneyland in California). WHAT A DREAM. 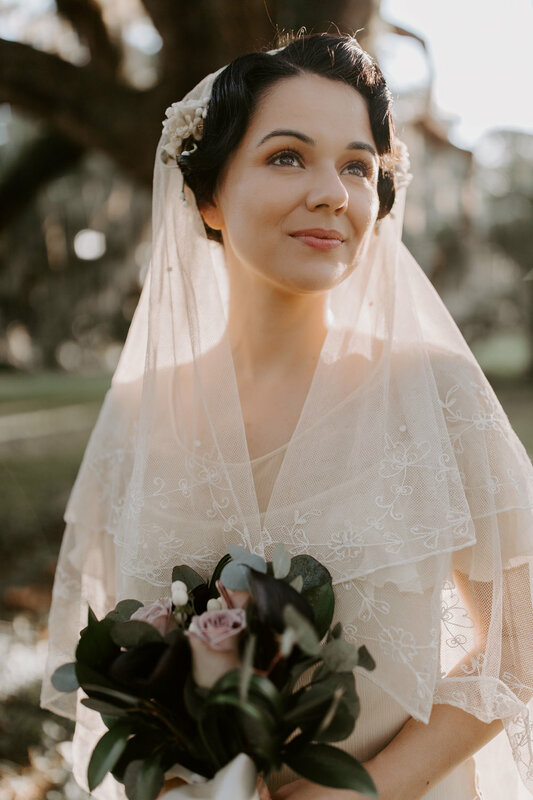 Their intimate elopement started with a ceremony at McDonogh Oak, an 800 year old live oak tree in the park, followed by portraits on a darling stone bridge and under glowing Spanish moss and ended with beignets and cafe au lait at Cafe du Monde. THIS is why I love elopements. You can truly make the day what you want and improvise as you go along without having to explain yourself to anyone. The morning was sprinkled with so much laughter, skipping, kissing, loving and teasing and we didn’t have a strict schedule. Literally everything happened spur of the moment and created an atmosphere of unbridled joy and love. 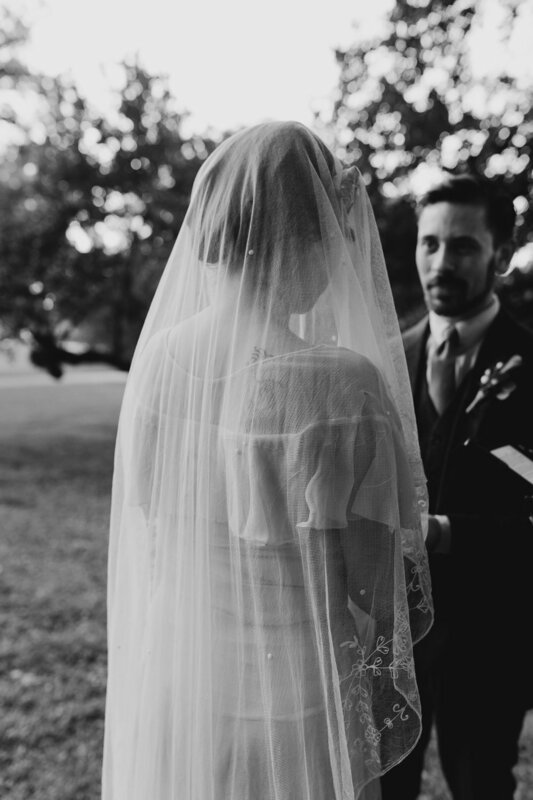 Considering an elopement? Take a cue from these lovebirds. They definitely did it right.